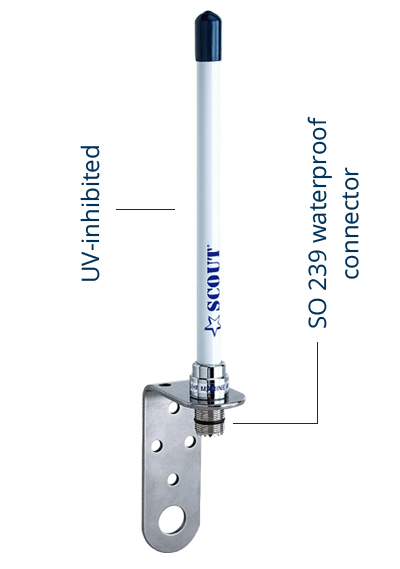 With only 18 cm length the KM-10 is the shortest VHF antenna of the range, and it is distinguished by its elegant look and glossy chrome finishes. Designed for fast and small boats, thanks to its versatility it is equally adaptable also to sailboats and medium sized boats. It is equipped with a stainless steel bracket that makes the installation easy and stable, and gives the antenna a perfect stability even during fast navigation and rough sea.